At the last showing Arsenal’s weaknesses were rather exposed. Against Leicester the team missed Olivier Giroud, while injury to Laurent Koscielny was a reminder of the shortage of central defenders. The question sailing on the final draught whistling insistently through the closing transfer window was whether the late signing of Danny Welbeck and a preparedness to juggle defensive options would be enough to cover the gaps? The sound of Arsenal’s travelling support imploring Wenger to buy another striker echoed around the King Power Stadium against the Foxes as Arsenal endured another relatively disjointed game. However, with the capture of Welbeck Wenger will argue that he has conclusively filled that gap. The transfer nay have divided opinion, but there is no doubting that there is potential for success. However, it is that other conspicuous gap which leaves many concerned. Even last season Arsenal were lightly staffed at centre back, with the first choice of Mertesacker and Koscielny only supported by the benched Thomas Vermaelen, and Bacary Sagna making some commendable emergency appearances in the centre. Wenger has admitted that the club need to strengthen the defence. Debuchy has arrived, a great replacement for Sagna at right back, but not able to cover in the centre. Meanwhile, Chambers has produced some composed performances in that position so far and shown the potential that encouraged Arsène to spend £16 million on securing his services. However, beyond Chambers the only other senior cover for both right back and centre back berths is Nacho Montreal. Indeed Montreal was deployed at centre back several times during preseason. 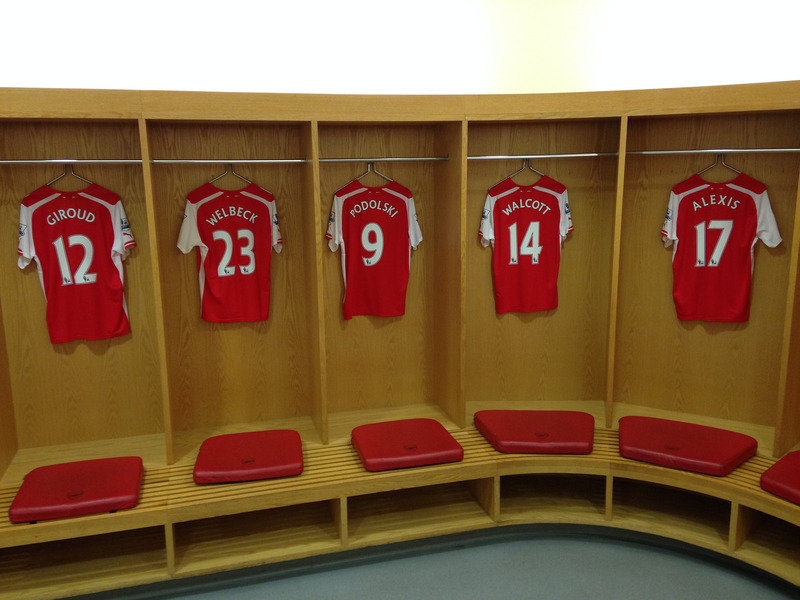 The further departure of Ignasi Miquel and Carl Jenkinson leaves the defence looking rather sparse. With some shuffling Arsenal might make it through the season. Perhaps Monreal is seen to have sufficient skill to cover at centre back, something that might get him the increased game time he desires, but Wenger has left himself with a very, very small fig leaf to cover the defence. Any injuries to Mertesacker or Koscielny could spell disaster. Following years of turmoil at the back, defensive stability has been one of the key factors in our improved performances over the past two seasons, the high scoring disasters against the big sides notwithstanding. Even last season Arsenal played at risk in the centre back position and only made it through with Sagna standing in. Now they have one option fewer. This approach seems odd and was nicely summed up by Amy Lawrence in the Guardian recently. However, one should acknowledge that striker was almost as concerning. While it is fair to say that the transfer of Danny Welbeck has not set the world alight, he is an improvement on options in that area and the general consensus is that he is a talented young English player who needs a chance to prove himself. This is an opportunity he will have at Arsenal. His rather shifty appearance at his first interview belies the shock he must be feeling after deciding to leave the club he has played for for 15 years in just a matter of hours, but the opportunity that awaits him at Arsenal with Giroud out and Sanogo remaining unconvincing is too great. If he can take this on successfully he has the chance to do at Arsenal what he couldn’t quite manage at Old Trafford. A relatively promising cameo for England against Norway was followed up by a good performance against Switzerland, and most importantly two goals. The second of these was well taken and it is clear that Welbeck has a point to prove. The comments from Van Gaal criticising his development and record should hopefully spur him on to greater things at Arsenal this season. On internationals, it is a strange feeling to see an England squad with four Arsenal players and more to return. Though this doesn’t say much about Arsenal considering the current quality of the England team, I think it is fair to say that Arsenal have some of the more promising prospects, whether that potential is fulfilled is another question. The British core at the club is oft talked of, and clearly a lesson Wenger has learned following the emotional departures of certain players over recent years. In terms of the transfer window Arsenal have been relatively successful, barring the fact that they didn’t get the centre back required and appeared a touch disorganised in the last minute chase for a striker that led to Welbeck. In general the team’s performances so far have been rather stuttering but the side remain undefeated. The real test will come in the next game where they face Manchester City at home. Will Welbeck start in the centre? It seems likely. With Arsenal’s triumph over Huddersfield Town in the FA Cup on Sunday, passed a fixture of significance few failed to note. The name of Herbert Chapman dominates both clubs, a revolutionary manager who engineered periods of success for each in turn, and pioneered the counter-attacking W-M formation at Arsenal which culminated in back to back title wins in the 1930s, a feat never achieved since. The great Herbert Chapman. Image courtesy of Adam Bowie under Creative Commons licence. Not only did Chapman win an FA Cup and two titles for Huddersfield Town, but won Arsenal’s first trophy within five years, the FA Cup in 1930, oddly enough against his previous employers, Huddersfield. Although he suffered a premature death in 1934, Chapman set the side up to continue in winning ways until 1938, after which wartime interruption broke the momentum of the Arsenal. Only one manager has exceeded Chapman’s reputation at Arsenal, and that is the current incumbent, Arsène Wenger. 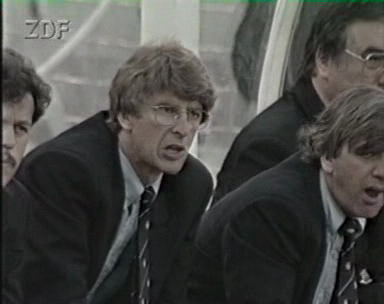 The first decade of Wenger’s reign was one of success, doubles and Invincibles. Since 2005 however, pundits are quick to remind Arsène that the trophy tally is zero. In light of this I’ve developed a graphic timeline combining the competitive trophies won by Arsenal since Herbert Chapman joined the club in 1925. The achievements of the first great Arsenal manager are clear, including the first in 1930; Arsenal won five league titles and two FA Cups in eight years.